Please make sure that backlight control works. I made a fw with 128x128 pixel - does this work (better)? Backlight controls work OK. Screen quality quite good, maybe abeyerr_black_3 better (especially at default screen after flash). Power off option still doesn't work. Could you validate if this option work after hack in your devices? Cause I'm stating to think that is a common bug....It's very annoying, cause when I disconnected it from PC, it drains battery to zero. The top-left is clipped by 2 pixels, and there is a white border on the bottom right. Perhaps the hardware/firmware is layed out for 132x132, but the LCD only has 128x128? That seems a rather odd production change, though. What does MENU|REBOOT do? Same as MENU|OFF? Could you post the calibration image with the 132x132 firmware? The same is when USB cable is connected to PC or disconnected. Is it a way to fix it? I pulled the front case off, so you can see it's not just sloppy assembly. It looks like it is 132x132 but the top + left 2 pixels aren't visible. I have 3 units, all the same. These images areusing the 132x132 firmware (the 1st one you supplied). How about the original firmware - does power off work here? Next try: this is a 132x132 fw with display shifted 2 pixel to the left and down. Almost perfect. That behaves as a 132x132 with the (physical) bottom & right sides clipping 2 pixels. I patched dpf_ax_open() to force the size to 130x130, and it behaves correctly in all orientations. Can you make one more small change to return 130x130 as the size? Edited 1 time(s). Last edit at 07/24/2014 07:17PM by ajd4096. Flawless! Pixel-perfect in all orientations, backlight works smoothly. I will add this one as "zipp_dp605_2" with 130x130 pixel. Hello , keyframe name says "Weltild"
Looking for backlight & contrast.......: Found, Found. Looking for known signatures.......: None. Without the original fw there is nothing I can do. great to find you active here. Thank you very much for dpf-ax and the toolchain! I have a Coby DP151, two identical NoName displays and one Bresser. The Coby works. But no luck with the others. So I that's why ask for help here. Ubuntu recognizes it as "AX203 USB picture frame firmware ver 3.5.x". Flash written to file 'fulldump_20140902-153526.bin'. Flash written to file 'fulldump_20140906-171406.bin'. But the following model has a partial signature match: acme_7. I flashed acme_7. The device is recognized as Hackfin device afterwards but the display shows nothing and the menu cannot be accessed. I would be glad to get some hints how to bring these displays to work with dpf-ax. Thank you really very very much, superelchi! Both types work like a charm. Contrast is fine for the Bresser. So I will add these two as 'lehoff' and 'bresser'. Flash written to file 'fulldump_win_20140907-130145.bin'. And one last interesting fact: the dpf has no reset button (at least I could not find one). Looks like this is not an AX206-based dpf. Please upload the firmware so I can have a closer look. 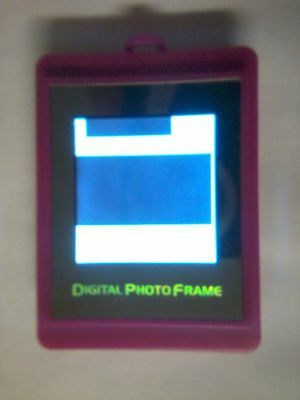 Has anyone had any luck with the 7" photoframes that are available on the online auction sites? I have one coming and if i can get the firmware offloaded using your script. i will post it here and hiopefully you can work your wizardry on it. It will be a nice larger display to use and look at. EDIT :Sorry post in wrong section - this should be in the general and my request with firmware later. Edited 1 time(s). Last edit at 10/13/2014 06:23AM by Gravelrash. I have Sweex mm004v5 dpf, but "fw_sweex_mv004v5.bin" doesn't work in it (black lcd, backlight on). Flash written to file 'fulldump_sweex_mm004v5.bin'. Timer1 custom init found (tmr1per = 0x40ff). Proposed carrefour_bfv151 and coby_dp151_bw_3 also doesn't work in it (black lcd, backlight on). Flash written to file 'fulldump_WH_Smith.bin'. But the following model has a partial signature match: xg4241. Proposed firmware xg4241 gives partial success - white eyes on black background, but menu is not displayed (no text - only white bar). Could you try to prepare HACK firmwares for my devices? Both original firmwares attached in single zip. fw_sweex_mm004v5_2 - should work as expected. fw_wh_smith - not sure. Has a *VERY* strange lcd access. Please give it a try and report back. Thx for quick reply (X-mas holidays :)). Fw_sweex_mm004v5_2 works almost perfectly. One strange thing happens when I turn off dpf by Menu|Off, and then turn it on by Menu button or connecting USB cable. It looks like lcd contrast has been reset to high level (out of usable range), and almost whole display goes dark. Then if I enter Menu|Setup|Contrast display goes normal. Also normalizes after Menu|Reboot. Fw_wh_smith has trouble with displaying Menu (like fw_xg4241). A picture of Main Menu attached. Despite this Testscreen looks like he should. Data from lcd4linux also shows correctly. Backlight and Contrast setting works great. Now I can use both frames for lcd4linux (with little additional activity) and gladly will test next version of the firmware. > normal. Also normalizes after Menu|Reboot. What happens if you do a hard reset (switch at the back) or when reconnecting to USB (without the battery)? Display okay? By the way - removing the battery is strongly recommended if you use the dpf with lcd4linux. > fw_xg4241). A picture of Main Menu attached. > from lcd4linux also shows correctly. > Backlight and Contrast setting works great. You're right regarding the battery - should be disconnected. Without the battery using this frame is simpler. With the battery when you turn on the frame must be reset because the usb is not working properly, and Linux does not recognize the device. Mm004v5 contrast is fine after a reboot from the menu, hard reset or power reset. With WH_Smith is strange because Testscreen menu works great, lcd4linux also displays beautifully, only text in the internal menu is not visible - the background color is like the color of the text. Flash written to file 'fulldump_20141229-104607.bin'. PS: MENU|REBOOT does not work for me. Edited 3 time(s). Last edit at 12/30/2014 05:44AM by andrejt. A look at your fw-dump shows "AX208 SDK V3.0" - seems to be AX208 based, not AX206. And dpf-ax only works with AX206 chips based on the Buildwin SDK for this chip.